During last night's Daytona 500, driver Juan Pablo Montoya lost control of his number 42 Target Chevrolet and crashed into a course safety truck. The collision ignited jet fuel, which produced a spectacularly dangerous explosion highlighted by a scorching fireball that amazed onlookers while melting nearly everything within a moderate radius and caused all events relative to the race to come to an immediate and historic halt. 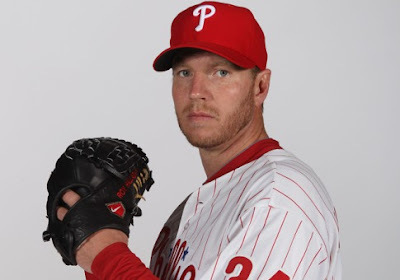 Here at I Want to Go to the Zoo with Roy Halladay, we call that a 2-1 breaking ball. Completely untrue. Roy NEVER gets behind in the count. NONBELIEVER! THOSE WERE PURPOSE PITCHES, YOU DONKEY! I stand corrected. I will never doubt his royal Royness. I'm not going to lie. I didn't laugh. Then I read the caption on the picture of Roy looking awesomesauce. And then I did. A lot.